It is said that if you have courage and determination, you can live your life according to your desires. Although there are many difficulties and obstacles in life, we must be ready to face challenges at every step. But the one who crosses them sets an example for the rest of the world. One such example is that of Rajkumari Devi from Akbarpur village of Rohtas district of Bihar. She was a child bride and then to add to her trauma, she was abandoned by her husband for giving birth to a girl. But Rajkumari Devi did not give up and raised the child with courage and determination. In a country where ambitious schemes such as Beti Bachao, Beti Padhao have been initiated to instill respect and security of daughters, ironically, in the 21st century, daughters are also considered a curse and a burden. On one hand our society worships Lakshmi, Durga and Mary and gives the examples of Mother Teresa’s service, Rani Laxmibai’s heroics, Razia Sultana’s high morale and takes pride in a daughter like Kalpana Chawla, but on the other hand, we cannot bear to hear the news of a daughter being born in our homes. It makes us feel humiliated. People even go to the extent of killing a child in the mother’s womb if they learn it is a girl. But there are also mothers like Rajkumari who consider their daughters to be their pride. Rajkumari was born to a poor potter and was the fourth of the five children. Due to lack of awareness about education in the house, she did not go to school. Though on one hand, while learning the domestic work well, under the guidance of her father and grandfather, she became skilled at making beautiful pottery. But suddenly, at the age of eight Rajkumari lost the power of sight in one eye. This incident not only changed her life, but also erased her real name from the memory of people who now started calling her Kaani (person who is blind in one eye). It was a shock for her poor family as they worried about Rajkumari’s future and also her marriage. With the passage of time, her condition did not improve and Rajkumari was married off at the age of 12 due to illiteracy and poverty. As she was blind, good matches were hard to come by. She was finally married to the disabled Lallu Prajapati, from Akori Nagla village of Dehri who had one weak hand. According to custom, on turning 15, Rajkumari was sent to stay with her in-laws. Like any other girl, she went to her marital house to start a new life with a lot of dreams. But she did not realise that this marriage would eclipse her life — blotting out all the good things. She found out that her husband was having an illicit relationship with another woman and her in-laws were aware of it. Not only this, the attitude of her husband and in-laws was brutal. They would beat her up without any reason. The uneducated and helpless Rajkumari accepted it as her destiny and continued to suffer quietly. Within a month of coming to stay with her in-laws, she became pregnant. At the same time, the oppression of in-laws also increased. Despite her pregnancy, she was not given enough food and two attempts were even made to kill her. Due to lack of communication, she was unable to tell her family about the tough time that she was facing. At the time of delivery, she managed to go to her mother’s house. A few days later Rajkumari gave birth to a daughter and named her Shanti which means peace as she felt that her daughter would bring peace and happiness to her life. The birth of a child is considered as the second birth of a mother, but it was a curse for Rajkumari as it was a daughter. Her husband and in-laws wanted a son and began to pressurise Rajkumari to kill the child. She was clearly told that she could only come to her in-laws house if she kills or gives up the child. She had to make a choice between living with her daughter and being able to return to her husband’s house. 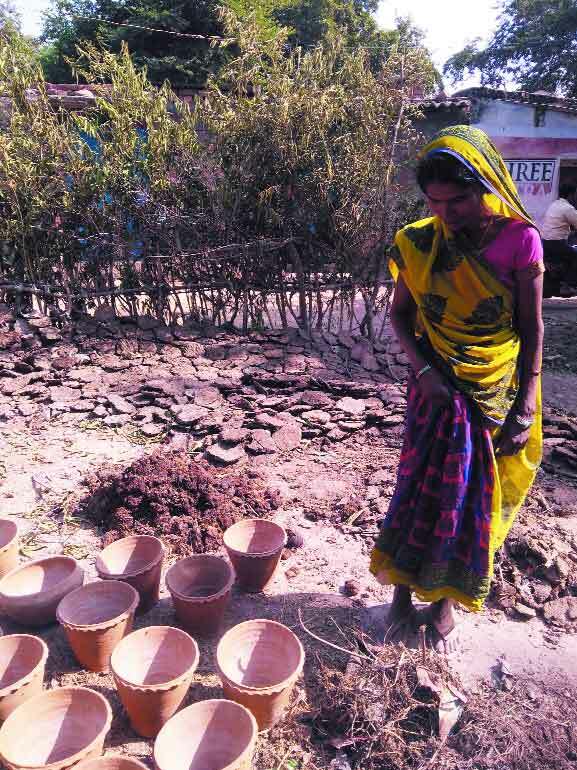 Despite being uneducated, Rajkumari did not see any difference between a son and a daughter. She can be considered much more intelligent than the thousands of educated parents who engage in female foeticide. When she refused to kill her daughter, her husband abandoned her forever. Forced to stay at her mother’s house, she also had the additional responsibility of bringing up her daughter on her own. She did not lose heart and decided that she would transform every weakness into her strength. She took up pottery and started working hard day and night. With the money that she earned, she not only raised her daughter but also started taking care of her old parents and younger brother. Despite or maybe because she was uneducated, she realised the importance of education. As a result, she spent most of her income on educating her daughter and younger brother. In fact, the life of Rajkumari Devi is not only contrary to books and stories of princesses but is also an example for society. It is a slap on the face of those who feel and think that daughters are a burden in their life. Despite being uneducated, Rajkumari Devi feels that daughters are not a curse, but are our pride. And she, herself, is one.